We were pleased to present a cheque for £209.30 to St Michael's Hospice at a recent assembly. Lynne Grimshaw visited us from the Hospice to tell us about the work they do. 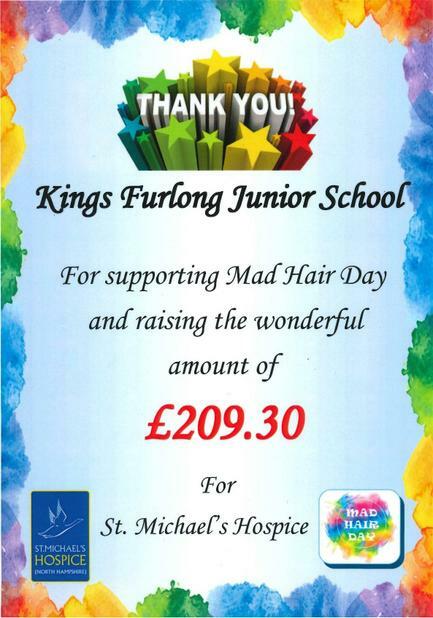 Thank you to everyone who participated in Mad Hair Day!